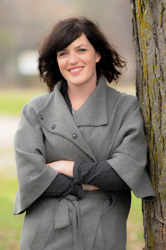 Prior to joining D&A in 2015, Heather completed a Master’s Degree in Landscape Architecture at the University of Guelph and a Bachelor’s Degree in Fine Art at the Ontario College of Art and Design. Heather brings a decade of experience in graphic communication and design to ecological restoration and park development projects. She holds certificates in Horticulture, Ecological Land Classification and the Green Roof Professional Training course.